Planning to visit holy city of Pushkar ? Rawla Pushkar Resort is happy to offer you the comfort and first-class stay experience tells about us in this historic city. Heritage, culture, tradition, pride are some of the words that are well associated with the Rajasthan. The place has always been a land of prideful culture and now also a popular tourist destination. Pushkar which is situated near Ajmer is among the oldest cities in India. Its serene environment makes it a must visit place for people converging to India for experiencing the true nature of cultural diversity. Rawla Pushkar Resort is a comprehensible reflection of the elegance of Pushkar city. With the dedicated mission to provide the perfect combination of luxury and tradition, We offer a brand that is known for its intuitive hospitality services. The tranquil premises of the resort gives a flawless illustration of rich Rajasthani architecture. The construction of the resort is inspired by the Royal vales of Rajasthan. Spread in over 15 acres, the exemplary art form on the walls, the antique style furniture gives a luxurious experience that is to be cherished forever. In addition to the splendid construction of its outlay, the Resort offers the best in class hospitality services to make your stay a memorable event. Our dedicated staff is fully devoted to the customer satisfaction. The rooms replicate the magnificent upkeep of the Royal family, every detail of the decor has been kept to match the same without compromising the convenience. Also, the food we offer makes us stand apart from others. You get to experience the luxury dining at this elegant accommodation. To provide the true Royal dining experience Rawla Pushkar Resort includes the real spices of Rajasthan to produce the genuine locale flavors. Apart from that, the menu includes a wide variety to choose from. 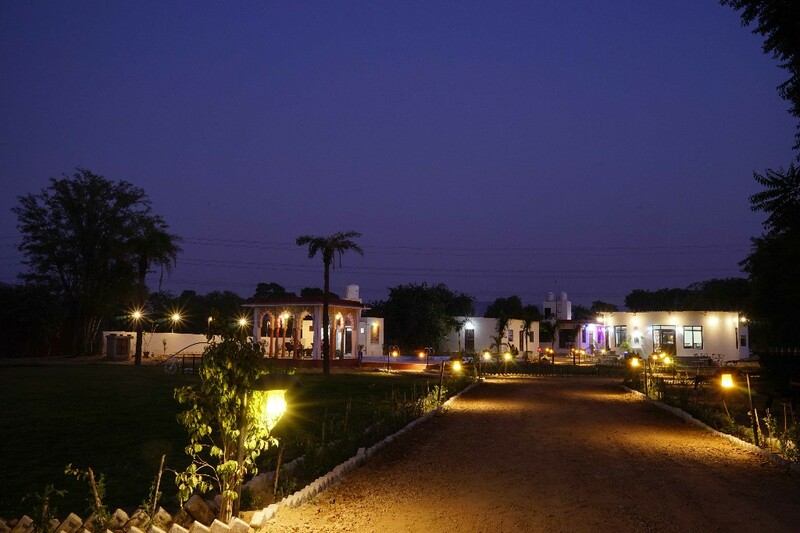 Rawla Pushkar Resort is more than just a resort, but a preservation of the fine hospitality of this land.